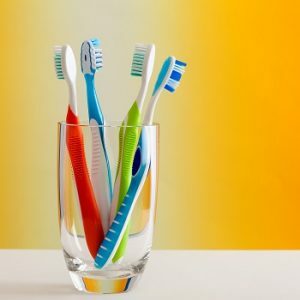 Natural Health News — Taking better care of your teeth could help reduce the risk of getting – and dying from – certain cancers, according to two large scale studies from the US and Finland. The first study, published in the Journal of the National Cancer Institute, used data from comprehensive dental exams performed on 7,466 people from four US states: Maryland, Minnesota, Mississippi, and North Carolina. These individuals were then followed for around 14 years. During that time there was an overall 24% increase in the risk of developing cancer among those with severe gum disease, or periodontitis, compared to those who had mild to no periodontitis at the beginning of the study. Among those who had tooth loss – which can be a symptom of severe periodontitis – the increase in risk was 28%. » Two recent large scale studies have found strong links between poor dental health and increased cancer risk. » Data from the US found an overall 24% increase in the risk of developing cancer among those with severe gum disease, or periodontitis, compared to those with healthy gums. » A second study from Finland found that poor dental health correlated with a 33% increased risk of dying from cancer and a significantly higher risk of dying from pancreatic cancer. Further analyses on specific types of cancer showed that those with severe gum disease had more than double the risk of developing lung cancer, compared to those with no or mild periodontitis. Amongst those who had lost teeth (either partially or completely), there was an 80% increase in risk of colon cancer. The highest risks were in white people; in African-Americans the risk was low to non-existent. While smokers are more likely to suffer from gum disease (and, of course, smoking also raises the risk for lung and colorectal disease), even amongst never smokers there was a two-fold higher risk of colorectal cancer in those with severe gum disease. The researchers also uncovered a small increase in the risk of pancreatic cancer in patients with severe periodontitis. They found no links to increased risk of breast, prostate or blood/lymphatic cancer. In a second study, published in the International Journal of Cancer, Finnish researchers also looked at the link between gum disease and cancer. Scientists looked at data on over 68,000 adults, aged 29 and over, who had had at least one dental exam in 2001/2. These people were then followed for 10 years to track cancer cases and cancer deaths. The most common dental procedure in this group was endodontic treatment (root canal) in 70.3% of patients, followed by treatment for gingivitis in 40.6% of patients and periodontitis treatment in 20.5%. Results showed that periodontitis was associated with an overall 33% increased risk of dying from cancer. The mortality risk associated with gum disease among individuals with pancreatic cancer was far higher, at more than double the risk. A previous paper by this same group found that a bacterium seen in periodontitis also occurs in gastrointestinal tumours adding weight to the idea that oral bacteria can spread from the mouth to other parts of the body. Like most types of disease, gum disease is progressive. Gingivitis is an inflammation of the gums due to the presence of plaque. Periodontitis is the final stage of gum disease, with symptoms of bleeding and receding gums and loose teeth, which can be prevented by not allowing plaque to build-up. Left untreated it can lead to tooth loss. According to the Centers for Disease Control and Prevention (CDC), around 47% of adults who are over 30 years of age in the US have some type of periodontitis. With age, this rate increases, so that by age 65 years and over 70% will have this disease. In the UK 3 out of every 4 adults over the age of 35 suffer from some form of gum disease. There is already plenty of evidence linking gum disease with heart disease and stroke. This new research however, suggests even bigger implications for health in the prevention and early diagnosis and treatment of gum disease. For more on maintaining healthy teeth and gums see our article Naturally healthy teeth and gums. See also links top left. Q&A: What’s so bad about fluoride?